Affiliate marketing is something near and dear to my heart. Being in the industry for the last 15 years I have seen this industry evolve from something that was a mere tool for companies to extend their reach online, to a term that is “synonymous” with their actual businesses. Many businesses rely solely on affiliate marketing to build their brand, their exposure, and their revenue. If you are a company with an online presence and you don’t have an affiliate program in 2017, you truly don’t have a presence. It’s that simple. With Affiliate Marketing in 2017, you have a lot of opportunity online in 2017, more so than I have ever seen. This is going to be the case in subsequent years as the Internet continues to grow, as people are more connected more often, and as more and more companies are continuing to put invest most of their marketing budgets into their affiliate programs (for their online sales anyways). Affiliate Marketing in 2017, is it ANY Different? Okay, time for a quick break down of affiliate marketing. First, what is affiliate marketing? Affiliate marketing is the process of promoting another companies product or service in exchange for a commission. There are 100,000's of affiliate programs that you can join, choose products, promote them, then get a cut of every sale. At the core, you have a product and you have a consumer. Connecting these two items is YOU, the affiliate (and your affiliate link). At the core, that is what affiliate marketing is. Obviously there is a bit more to it than this, as in, how do you find and attract consumers, but the process of making money as an affiliate is not any more complex than this. Here is a diagram we have on the Wealthy Affiliate website that explains the process is a clear flow diagram. That is what you learn here at WealthyAffiliate.com and when you understand the proper processes of choosing a niche, building out your website, becoming an authority within any niche of your choice, you are truly going to be able to capitalize on this business model which will remain largely unchanged for many years to come. There are many things that you should be aware of prior to heading into affiliate marketing. In fact, I have 7 things that I want you to privy to before you enter into the affiliate marketing world. Affiliate Marketing is Growing at the Fastest Pace ever. It is estimated that the affiliate marketing industry is going to be worth $5.97 billion by 2019. It is growing at an incredible pace and when I look back to when I started out in affiliate marketing back in 2002, I was operating a full time business within a much smaller space. The revenue growth within this industry is growing incredibly fast. All Major Online Brands Are Built on Affiliate Marketing. Amazon, Apple, HP, Best Buy, Etsy… you name it. Without affiliate programs, and affiliates, these companies would have WAY less marketshare online. The likes of Amazon have built their empire off of affiliates, it is rare these days when doing research on a product or service you don't come across an Amazon affiliate site. There Has Never been this Many Affiliate Programs. Every year, there are more and more affiliate programs as companies see the opportunity to carve out such a vast marketing team online. There are 20-30 huge affiliate networks alone, with 10,000's of affiliate programs not to mention all of the 10,000's of independent affiliate programs. There Are Over 500 MILLION Products You Can Promote as An Affiliate. Yes, you read that correctly. There are over 500 MILLION products that you can promote online! This subset of products only continues to grow, not to mention the 100,000's of online and offline services that also have affiliate programs. People Are Moving Their Spending Online at a Faster Pace Than Ever. I personally spend most of my money online now, shifting away from offline business. I know it is bad not to support local, but I personally would rather support online (being an Internet entrepreneur) in particular when the prices are better, the selection is unparalleled, and when I know affiliates and fellow Internet entrepreneurs are benefiting from it. This trend is ONLY going to continue. Almost Every Sale Online Has An Affiliate Behind It. That is correct, almost every purchase that you make online has in some form or another an affiliate behind it and earning a commission. Whether you are doing your Christmas shopping on Amazon or you are buying a service to help you build a business (ahem...), there is almost certainly an affiliate reaping the rewards of a commission. It's brilliant. Affiliate Marketing Will Never Die. There was an underlying fear when I started out online in 2002 that affiliate marketing was a temporary thing. Logically it didn’t make sense that such an incredible business model would die, but the marketing teams of some of the biggest product launches started piggybacking the idea of this. Affiliate marketing is here to stay. It has grown every single year since 2002, creating the greatest opportunity of our lifetime. As offline jobs vanish because people are not shopping as much offline, affiliate marketing grows as a result. As shipping gets faster, people spend more and more of their spending budgets online. I have to say, out of my 15 years online I feel the affiliate marketing industry and the opportunity is just getting started. Companies like Amazon have grown and exploded their sales online because of their focus on their affiliate program at the core of their marketing. Instead of spending BILLIONS on marketing their products/services (by the way, they have over 488,000,000 products on their network now), they leverage millions of affiliate marketers through their affiliate program, Amazon Associates. Think of it this way, if you were a business online would you rather hire an ad executive and a 3-4 person marketing team full time (which would carry costs of $300,000 per year) or would you rather have potentially 100,000’s of marketers working for you on a performance basis where you only have to pay them based on the actual tangible sales? A marketing executive cannot guarantee results. In fact, most don’t achieve results and are incredibly expensive and then insight a company to spend outrageous costs on advertising. An affiliate marketer is required to get results to get paid, so there is ZERO risk to a company to take on new affiliates. Thus the model being so brilliant and EVERY major corporation now understands this. Plain and simple, Affiliate Marketing drives the Internet. Mic drop. Where do you think Affiliate marketing is going in 2017? I’d love to hear your thoughts, your excitement, and what you are doing in the Affiliate marketing space in the year ahead! Well said, Kyle. Anyone starting affiliate marketing today has a bright future ahead when following the principles as taught here. The affiliate industry is growing leaps and bounds, as you have shown. These days I often check the websites of brands and companies of which I am a consumer and find that most of them offer an affiliate program. It's very exciting and rewarding. I couldn't agree more. The affiliate marketing industry is at a very exciting tipping point and I think its proliferation is only going to continue. Conventional retail companies are really starting to put MASSIVE budgets towards their affiliate programs and affiliate operations, realizing that the offline retail world is dissipating at a pace we have never seen while the online spending continues to ramp up. Most companies these days are offering affiliate programs as you say, and if not, they are going to be very soon to follow. This is great information Kyle. I've been researching content to build out one of my themes: Understanding Affiliate Marketing. The facts presented here would be perfect to include. I can build content around the findings you have presented here. And the source is highly trusted, so I am confident that the information is reliable. Thanks Kyle. Yeah, you can definitely leverage the information from this post here Rosita, feel free to do so. What drives me though is I have never seen a platform like this - it is such an exciting place to be and to share with others! Yes, you can see I am very excited Kyle. I think I had to go down some really bad paths in the online world, learn some tough financial lessons, (that I am still paying for!) before I stumbled on Wealthy Affiliate. Still cannot believe I have not seen you guys earlier. Whats that saying. "When the student is ready the teacher arrives!" I think that fits me perfectly. You guys have provided so much for us at such a minimal cost. The cost is the hard work we put into it. Just bloody awesome!! Thanks again. I love that statement, the student is ready and the teacher (the community here, myself included) has arrived. I am glad you have found your new home here at Wealthy affiliate and I can tell you that you have a bright future ahead of you Sharon. There has never been a better time to get into the affiliate marketing space and the ways in which you can grow and scale a business online are only continuing to grow and evolve. Thank you Kyle,Carson,Jay and others behind the scenes who we may never interact with on a personal level. I know what you guys do is a business,but it is also a labor of love...and for me,and I know that I speak for many other WA associates...Heartfelt Thank You! Thanks for your kind words, truly appreciate them and if you think Wealthy Affiliate is a great platform now, we have a lot left to accomplish and 2017 is going to be a really big year for the community and members here. A year of new platforms, innovation, rollouts, and earning opportunities ahead! I am putting more emphasis on promoting WA in 2017. WA and PLR's are all I am promoting. At one time the cost of being in your own business was out of reach by most. I spent $300,000 on a couple of fast food chains which did not turn out too well. Affiliate marketing is the only business where you can keep doing it until you get it right and not go bankrupt. Of course belonging to WA cuts out a lot of the possible mistakes one can make. Affiliate marketing has changed the world in how business is done. Sears is closing stores but increasing their online presences. 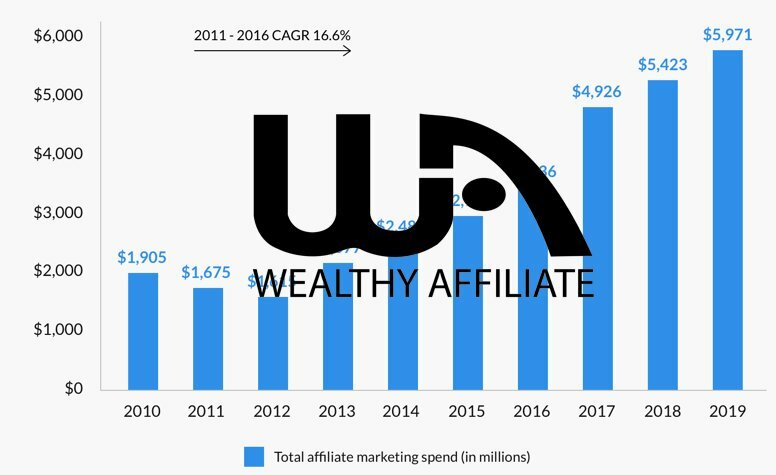 Yeah, compared to the conventional "franchise" model or any offline business for that matter, affiliate marketing has very little start-up costs and this is going down, not up (in particular if you are a member here at WA). Offline companies are shutting their doors and big box stores are as well, in particular the ones that don't establish an solid shopping presence online or an affiliate marketing opportunity. If you aren't online, you are living in the past! Excellent article, Kyle! Like you, I think that the internet, affiliate marketing in particular, is the future of business. I shop the web because 9 times out of 10 when I go to a local brick and mortar they won't have what I need, although they can order it for me. No thanks, I can do that myself. The future of the web and affiliate marketing excites me because its using a vehicle I know and that already piques my interest. Part of my excitement is my dream to make this into a successful working business that I enjoy waking to each day. In the year ahead, I'm looking forward to getting all of the pieces linked together into a cohesive unit. To find that something I'm missing, whatever that is. Simply put, my short term goals are to improve my affiliate marketing abilities and begin taking in some money. Long term I want to be a super affiliate. I want that invitation to Vegas, not in the Vegas sense of the word, but in what that symbolizes: success. You are a prime case as to what is happening. Even my dad, who just got his first computer is ordering stuff online, researching stuff online, and you better bet that 90% of his purchases are likely the result of an website or blog that made a recommendation to him and helped him make the decisions (ie, there was n affiliate commission behind it). The year ahead is absolutely an exciting one in the affiliate marketing space and I really look forward to seeing it take shape. I think in 2018 we can only expect to see more of the same. I mean, it's like a Midas vein consisting of everything one could possibly want to know and find and mine! And that's where watching for scams helps tremendously when it comes to covering the back. Shame it has to be that way, but there's always some soul trying to make a living the wrong way. What an informative post. Thanks for this update on Affiliate Marketing. One of my take-a-ways from this is that companies need us (affiliates) as much as we need them. If that is so then why is the commission they pay generally low? (around 4 - 6%). Perhaps it would be wise to shop around. For certain affiliate programs, where the margins are much lower (like Amazon), the respective commissions are going to be lower as well. For digital products and services or tangibles that have much lower costs to produce, then the affiliate commissions are going to be higher (30-75%). There are lots of affiliate programs in ever niche on all ends of the spectrum. Thanks for writing this blog Kyle. I have to admit that I've been slightly discouraged lately with Amazom announcing that they're making changes to the referral percentage structure. This will no doubt cause a lot of people to panic but in the end I think people will just have to adapt and then potentially it will force people to make positive changes to their online business. One thing that this makes me consider more than usual is diversifying my income streams on my websites. I'm putting a little more thought into Adsense than I did before. They didn't really lower their commissions at all, for mass producers they actually did but they are in the process of negotiating higher commissions manually for high volume affiliates (since they removed their variable commissions). In some cases though, affiliate commissions actually went up quite a bit, so this update wasn't as devastating as people actually predicted it would be. Excellent article, Kyle. I think what brings legitimacy to affiliate marketing and makes it easier to promote as a real online business is that established companies such as amazon offer affiliate programs. You can include screen shots and links to these programs when promoting wa, which demonstrates that it is not a scam. Affiliate marketing revenue will only increase as more people purchase products online. I found a survey that 2016 was the first year that more people shopped online than in traditional brick and mortar stores. Based upon this, the future is bright for affiliate marketing! Yeah, the transition has truly happened. Shopping online, once for geeks is becoming the norm. The fact that my parents mostly buy stuff online should be a strong indication of the fact that it is really starting to lead to incredible growth within the online marketing world and the affiliate marketing world. A bright future lies ahead. online retailer has accepted my membership again. Hi William! Initially I wasn't sure just how much help I would be because I'm pretty much in the same boat as you. After a few lessons in Certification I switched to Affiliate Bootcamp where the emphasis is on promoting WA as your product. My focus was (and is) on the educational aspects and planned to migrate toward monetization (niche) later even though I had a niche website where I was using eBay. So I've been learning website development, marketing techniques, etc. and only recently have started with a couple of niche websites. I had two things hamstringing me: 1) working on IT contracts in between, and 2) I couldn't be an Amazon affiliate because Amazon wouldn't collect sales taxes for my state, so my state said I couldn't be an affiliate. Apparently they was resolved first of the year when it came out that Amazon was already collecting taxes for 23 states. So I'm a relatively new affiliate, associate, whichever it is. My luck with Amazon hasn't been much better, although I'm primarily using it was a new niche site. My four hits were the four times I tested the links for the four products I have on there. I've followed all of the advice and teaching: write good content using keyword research, marketing using social media, ran facebook ads and boosts. On the guitar theory site facebook says it has sent a couple of thousand to my website. Google Analytics doesn't back that up at all. I think people are mistaking the facebook fan page for my actual website. I've had experienced people review and give me feedback on my WA site and all give me the thumbs up and say I'm doing everything I can do. Everyone of them have told me to just be patient. Kyle told me I'd catch on one day. Maybe I'm wrong, but that tells me there's something I'm not doing. In the meantime, I'm keeping on keeping on, putting to use what I learn from the courses and from Jay. I have committed to this and I am determined to make it into a viable, working online business. I see that Judebanks has left you some good links. I've bookmarked them all and have already gone over some of it, even employed one piece about the disclaimer Amazon requires you to have or they'll can you. I see success all around us, so I'm thinking 2017 is definitely the year. I'm wishing you the very best, William. Please do the same for me. This is definitely the era of communication skills. There is no more opportunity for people to claim they aren't given a chance. The playing field is wide, even, and nutrient dense. The game changer is going to fall back on each individual marketer or marketing company's ability and / or desire to rise up, educate themselves on the necessary skills of communication. With this combined with the ability to research and evaluate one's own experiences in life, everyone is afforded the ability to communicate a variety of solutions to people's and be rewarded through affiliate remuneration. Those people trying to take shortcuts, slipping in and out of the crowd, virtually pick-pocketing internet consumers will NOT make it. They will have to lift their standards. They will also be left with no excuses. In this rich opportune era of the entire world, as Kyle has pointed out, to engage in business on (and off) the internet through affiliation and eventually on to having your own set of affiliates educating their customers on your solutions is unlike no other time in business history. when some buys the eBooks singly, $19.95 or $149 for a CD-ROM with all the eBooks on it. I have a website for these eBooks for sale. I have not made and money as being an affiliate with this company. I am paying a hosting fee of $47/mth, I need customers to purchase these eBooks: 250+ 25 Different Categories. I feel my reach is going to be greatest through the internet, especially if I know how it all works. Thanks to you and Carson for creating WA!!! The communication factors I've experienced in the WA community is over-the-top .As mentioned in my initial profile I for saw the direct selling methods on foot as a thing of the past ie::Avon calling. Therefore, the alternative is just a click away I agree with you in that the selling procedures have truly developed into a fast & furious arena online..
Glad I'm in this race with all of you. Thanks Kyle, The growth in this industry looks to be truly amazing. After spending over 30 years in the retail business, hundreds of thousands of dollars in advertising and millions of dollars in brick-and-mortar, These seem to be truly exciting times for affiliate marketing. I feel I'm still getting in on the ground floor with my affiliate sales business. Morning, Kyle. Affiliate Marketing in 2017 is an excellent fact-based article. It is also highly relevant and I agree with your view that affiliate marketing is only going to increase even faster. I believe this to be true because I have been struggling to make money internet marketing since 2009 and I had never heard about Wealthy Affiliate until December, 2016. I only learned about it then because I was writing an ebook about all the scams I have bought into. This tells me that there are undoubtedly millions of potential members who don't know about us. Eventually, many more people will start using affiliate marketing as a platform to learn internet marketing in addition to going to college or even instead of going to college. After all, Wealthy Affiliate is a much better deal at $49.00 per month than college at $4,000 + per month. The end result can be much better. There definitely are millions of people that can benefit from WA, in fact billions. There are 3.75 billion people online now and a very large percentage of these people (a) want to build a business (b) would love to do something that they love (c) want to do it online. WA caters to all of these folks. And like you, many people are moving their spending online and affiliates are capitalizing off of this as the build out authority sites. Awesome, that is the thing. Create your own opportunity versus finding and sometimes not being able to find a job in the stale job market. There is room for many millions of people to carve out a significant opportunity within the affiliate marketing world. I stalled early on, but I will try to push my way through my current commitments as I want to be doing this full time ultimately. I will start bootcamp again and this time holler for help when I get stuck;. Thanks for the very reassuring heads up on the future of Affiliate Marketing. Katy (the shorter version of Katharina). Keep at it, keep motivated, and keep pushing forward hard! Thanks for this sound and strong advice. I will do it and see what happens. Can only go upwards! I chose a niche that will grow twelve times by the year 2020. I'm excited to be a part of Wealthy Affiliate Marketing. The training and the tools to grow my business are all provided right here at Wealthy Affiliate. The future is limitless for me since I became a member. 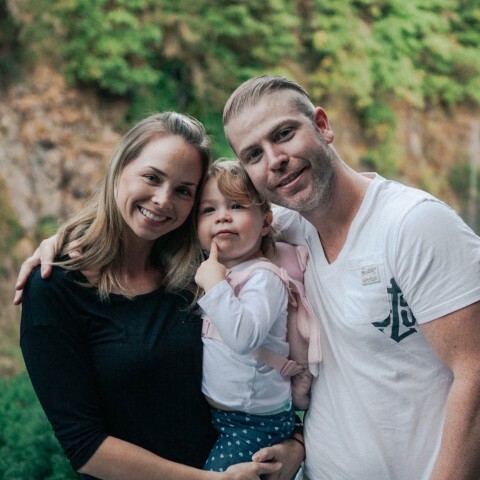 Thanks to you both Kyle and Jay for creating Wealthy Affiliate and the impact that you both have had in my life. This makes so much sense. Since I have started a week ago I can see where the affiliates are involved with online sales. I'll be honest, I didn't even realize this business existed. Lol. I'm excited to be involved and I know I can be successful. Thank you for the motivation! Affiliates are involved absolutely everywhere online within the sales process. Hey Kyle, thanks for educating me more about affiliate marketing. I must admit I had my doubts just like many of my fellow members may have, but after all the info you gave us in your blog I can now be more confident about pursuing my online business with the WA. This was just what I needed to boost my confidence. Thanks so much for sharing and I am glad I stayed on. Keep up the great work and wish me luck. Yes apparently it is natural to have doubts Kyle and thanks for taking the time to look at my websites and give me your opinion. I am going to get a domain for my websites just like you suggested, but wanted to know if you liked the way it was presented. Can you please give me your feedback on this? Thanks. Bounty link have to sign in to Amazon for this link to work. People from Arkansas can now participate in Amazon associates cool. I got this too.very exciting! Yeah, I don't see too much bad about these changes. The variable commission changes on March 1st will impact some people, but these new updates weren't nearly as devastating as some people anticipated. Very good info! I have used some affiliate marketing banner ads at my personal website and I am also planning to utilize affiliate marketing deals with the new corporation I just formed, once the two new websites are developed further--I got on everything domain and started the rudimentary beginnings of the website via Wealthy Affiliate with the great system they have here. So glad I joined in January. I think you are correct in what you are saying about internet growth. I personally have noticed the speed at which the computer are changing. We have two old dinosaur computers from 2001 and several laptops from early 2000s. They are totally outdated. We have had to buy new ones to replace them for school and things.The speed at which the computers are changing shows me how much the internet is growing. Awesome and so reassuring!!! Why don't they teach this at schools!!!??? This is the current reality and in my community people still often think buying anything on the internet must be a scam! Seeing it as a business opportunity is even more impossible for them. I know ppl are sick of being advertised, being "followed" and virtually having no privacy. But luckilly for us, we are not into "classical" advertising but in being there for ppl, helping them, educating them and allowing them to make informed decisions. Hopefully, longterm, that will become the majority's approach to advertising. Thanks Kyle for this overview, looking at the big picture helps to overcome being "affraid to move". I am not sure what they teach at schools these days, they are teaching anything they can to monopolize on the incredible costs of going to school and the fact that most employers need a "degree" to even hire you these days...even at McJobs. It's crazy. Universities are going to be in a lot of trouble in the coming years as the cost to educate people has really trimmed down, as an example, the only comparable platform to that of WA is in the offline world is Full Sail University which is $80,000 for a 2.5 year Internet marketing degree. That doesn't include a website, hosting, keyword tools, etc. Wealthy Affiliate price for a more elaborate experience, $850 for a 2.5 year membership. This is great news Kyle and inspires me to knuckle down and make my websites work. I'm currently busy with a website for a customer and it also happens to be the company where I have am a stallholder for all my crafting goods and products. I can see exactly what you mean in your article about Affiliate Marketing being the best thing to pursue today. Since all the stallholders are affiliated with this company and they all receive the same footprint at the same time. Now we will take their products online through the website and make them more successful! Thank you so much for taking the time to share this golden nugget of information with us! Paying if forward is our attitude of gratitude! It definitely sounds like you are busy Edu, that is great. As for knuckling down, it is a matter of getting the process down (the formula for success) and then just grinding to do MORE of what you are already doing to scale your business. I am very stoked for the future, enough so that it sometimes is difficult to stay grounded (at least until I look at my site and see a complete lack of traffic; that grounds me pretty fast). I'm looking forward to being part of this incredible opportunity and am so grateful for having found WA. Traffic is the first hurdle, but once you understand that and once you get the process down for building traffic (it will come naturally as your site accrues authority), then it becomes a matter of relevant affiliate promotions and scaling to drive your revenue in a linear and sometimes exponential manner. I know that we have only just begun what we can do! The direction that affiliate marketing is going? Everywhere! Since you can find aa affiliate manager behind just about everything you can find on the Internet, there is so many options you have to really not be looking to fail, especially with all of the training, support, and resources available here! I think, regardless of when you get involved, you are in the right place at the right time. Exactly, it is everywhere and it is only going to continue moving in an upwards manner. Although the Internet feels very much established, it is still infancy in terms of our interaction with it. If you think people are connected now and rely on the internet now, just wait 10 years. Affiliate marketing isn't going anywhere, not in 2017...not in 2017. The shape of it and the opportunities will surely evolve though. The figures are outstanding, I sort of think that they will continue to grow year in year out. It is an exciting time to be involved in the industry even from my own perspective we can practically run our whole lives from our phones things will continue to get easier as technology expands, so online marketing will continue to grow. It used to be that just being online was enough it seems that in order to be in the game companies need to embrace affiliate marketing or get left behind, if my competition had an affiliate program I would be setting one up sooner rather than later. It is definitely moving to that point isn't it. I know a growing concern in recent years is that the proliferation of "mobile" usage will take away from the affiliate marketing opportunity because people couldn't efficiently buy stuff from mobile. Well now they can and they are doing it at a high rate. This trend is moving upwards as you can now "fingerprint" buy many things online through platforms like Apple Pay and Samsung Pay. Bring on mobile in the affiliate space, it has only made things better! I know personally, my online purchasing has grown over the last three years. So I do believe that the consumer numbers will grow over the next two to three years. That definitely gives reason for more and more companies to incorporate affiliate marketing in to their marketing and sales strategy. You and I alike, and when I can I will purchase through an affiliate...naturally much of my research that I do before I buy will end up in my cooking several different affiliate links into my browser. If a company is selling stuff online and they don't have an affiliate program, they are going to be run over by the affiliate marketing train sooner than later. Not only is it growing at a faster rate but most people dont realize just how huge the internet is - there is enough money to go around for everyone! Also, affiliate marketing is growing at crazy speed in non English speaking countries as markets start to open so another huge opportunity for successful site owners to look into translating their efforts to perhaps increase their income many times fold. Yeah other languages, that is one segment I have never explored that I know many others are exploring. You can create your affiliate sites in any language that you like and capture any audience you like. What I find brilliant is that I can anywhere in the world and still experience the full benefits of the Internet and building a business online. I am glad that I have found WA through Steve. Last year has been the most eye-opening year. This year I'm going to make it a "profit" year through affiliate marketing. My focus is on my niche website first then on the Bootcamp sites. (this is because handling 3 websites are too much for my plate right now). Learning from the best group here is really amazing for me! Yeah, focus on one niche at a time, once you get that to a state of profitability and you get the formula down for affiliate marketing within one niche, then at that point you are going to be able to diversify into other niches. 2017 is definitely your year! More and more people are making full time income from affiliate marketing and like you said, with more and more people getting access to the internet these days, opportunity just keeps skyrocketing. This is why I jus refuse to quit. I KNOW there are thousands upon thousands of people making so much from affiliate marketing and if I quit, I will never get into that group. I know it takes time, continuous work and a laser focus, but the payoff in the end can just be so big. With each passing year, technology keeps getting better and better, new products arrive on the scene, products that people are hungry for, and there comes a great opportunity and niche for anyone to try out and make a living from affiliate marketing. That is true, the easiest way out of anything is to give up...including success unfortunately. Most transactions online these days have in some way an affiliate involved with it and definitely a merchant. Focus on the long term and establishing yourself within any given space/niche, that can take time and once you have an audience you can truly realize just how many things you can potentially promote to that audience! Affiliate marketing isn't going anywhere but up, so I'm so pleased to have found WA. And now almost one year on, I'm making good progress; I've been approved for several affiliate programs, so now it's up to me to create great content and make sure it's getting to the right audience. Excellent Gaylene, sounds like you are moving in the right direction with your affiliate marketing business. There are an abundance of affiliate programs and there are a lot of high quality products you can promote, any high grade product is likely to have an affiliate program. Thanks for this information. The "bad" side is that when your website is new,then it is really complicate to find an affiliate program. ShareASale gave me green but the programs they sent to me I applied but I recieved only "at the moment we can't". I know it is hard but need to stick on it. And my "service" is the "product"
Of course, that is part of the set-up of your website. All businesses start with ZERO existence, it doesn't take long to have enough content on your website to qualify for pretty much every affiliate program. It may take a month or two to get set-up, but this shouldn't be a concern if you are actually intending on creating a business. Yes Kyle, I understand. Maybe it was really soon to ask for it if my website doesn't have around 15 pages yet. I still need to create more pages and posts. Yeah, you will get there. There is no rush in the early stages, if you don't have any traffic I wouldn't get ahead of yourself. Thanks for the advice Kyle, still work to do. Yes, affiliate marketing has a definite bright future, and could easily be regarded as the new industrial revolution or a total paradigm shift in the marketing think tank. I travel all over the world from time to time and it is evident in many countries that online marketing is fast becoming the new norm. Boot camp.........will become very powerful in time to come as it fills a growing gap in the new digital world. The choice of niches will be mind boggling. Surveys done lately at certain universities worldwide indicate that up to 61% of courses offered will be obsolete in 10 to 20 years time.....the digital age is approaching at an alarming rate! It most certainly is a very exciting new marketing world awaiting us all here at WA. I have a good feeling that we are going to have our work cut out for us. So let's prepare and get ready! The digital age is definitely creating a lot of new opportunities and replacing a lot of the jobs. Sure, offline mom and pop shops are collapsing because of the low prices and better selection online (not to mention you don't have to drive anywhere, you can order stuff in an instant from your house). But these lost jobs are creating a slough of affiliate marketing opportunities and as a result businesses online, online services, and even platforms like Wealthy Affiliate of course rely on the fact that the affiliate marketing exists in the first place. As always, thanks for the feedback Johan! If this doesn't put things in perspective for people, I don't know what will. I know some people like to push the idea of the MLM business model but all I have to say is I don't see Amazon, Walmart and any other big brand using that model to make money. They all have affiliate marketing as part of that mix. That should tell you all you need to know about this business. Great job Kyle! Time to bookmark this article. Yeah, the affiliate marketing model works when you have tangible products and services that people actually want, they buy, they love. MLM is completely different because there is a tendency to rely more on the scheme itself and the recruitment there within to drive revenue. Affiliate marketing in 2017 probably won't have too many surprises, but will be exciting for affiliate marketers as it will be one with more growth, more affiliate program opportunities, and more products/services they can leverage within their promotions. We Are Giving Away My Bugatti!